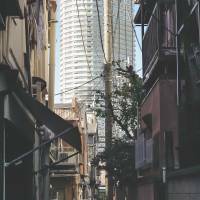 Kyojima: Tokyo's epicenter of disaster risk? If you live in Tokyo, consider yourself a risk-taker. More people are potentially affected by natural disasters in the Tokyo-Yokohama area than anywhere else in the world. 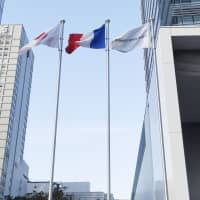 According to a report released in September by insurance company Swiss Re titled “Mind the Risk: A global ranking of cities under threat from natural disasters,” the Tokyo-Yokohama conurbation is the most “earthquake-exposed community” on Earth. But it doesn’t end there: The Japanese capital is also at significant risk from four other “perils” — storm, storm surge, river flood and tsunami — and shares the title of “riskiest metropolitan area in the world” with China’s Pearl River Delta and Osaka-Kobe. Disasters however, are not distributed equally. Western Tokyo, with its raised elevation (meaning it is less prone to liquefaction) and more recently built infrastructure, would weather a large-scale disaster much better than a district of eastern Tokyo, with its narrow roads, lack of firebreaks and comparatively old wooden houses built on alluvial soil (which amplifies earthquakes). Much of eastern Tokyo is at sea level, too, making it prone to flooding; some districts are up to four meters below sea level. 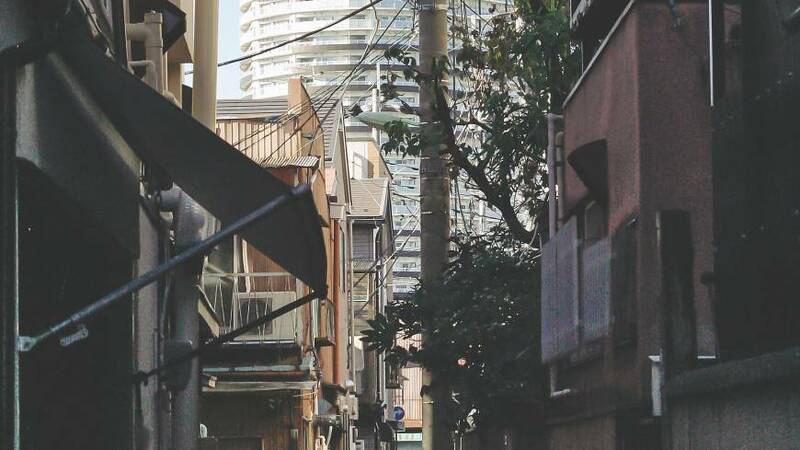 These areas in Tokyo that are most susceptible to disaster are not just abstract spaces but lively neighborhoods. Data-driven risk assessment by its nature is oblivious to the experience of those living in the shadow of potential imminent disaster. 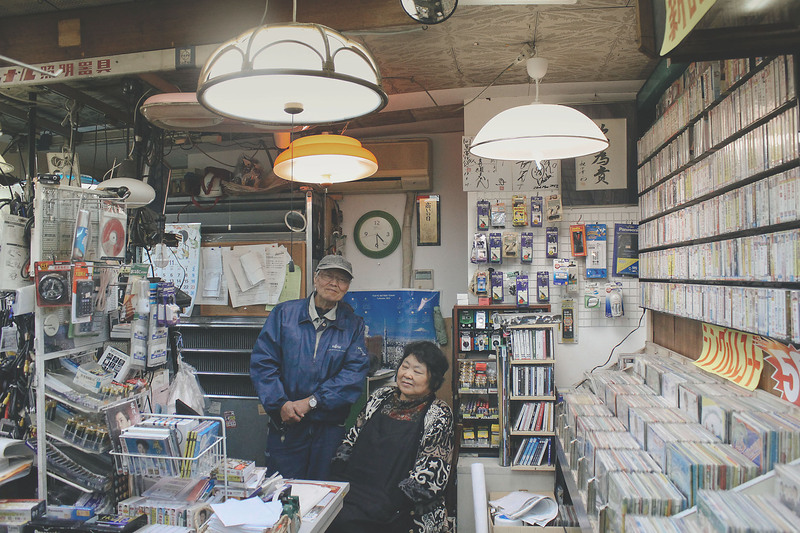 This article is about getting through the data and charts and into the homes of people who live with risk in one of Tokyo’s most disaster-prone neighborhoods. Kyojima is a perfect storm of natural-disaster risk. While the Honjo district to the south was carefully planned by the government and its buildings exist in a logical grid to make business efficient, Kyojima, which was designated as a farming area according to old shogunate law, developed as an informal mess of narrow roads and shacks made from wood and corrugated tin. Its wooden nagaya, or tenement houses, built mostly between 1923 and 1960, are often dilapidated and tightly packed together — houses that the Sumida Ward Disaster Prevention Section fully expects to collapse. “We think within 30 years, there is a 70-percent chance that a big earthquake will occur here,” says Kenichiro Iwamoto, chief of Sumida’s Disaster Prevention Section. 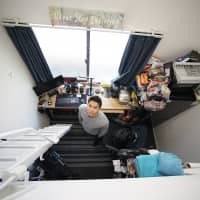 The area the Tokyo metropolitan government is most concerned about is a ring of neighborhoods around the center of Tokyo that contain densely packed wooden houses — areas known as mokuzō jūtaku misshū chiiki, which are home to about 1.8 million residents. In Sumida Ward, one of the mokuzō jūtaku misshū chiiki most at risk is Kyojima, according to Iwamoto. Each map he brings out — covered in layers of colored symbols, numbers and graphs — shows the district highlighted in red: “Fire risk rating” reads one map, “Structural collapse risk rating” and “Emergency response difficulty” reads another. Kyojima is consistently in the red, in the upper tier of districts most at risk. The district today retains some traces of Tokyo before 1923. If you look carefully, you can see that history written into the current layout of the area itself. Blocks here don’t follow a grid, but instead the haphazard shape of paddy fields from over a century ago. Roads follow old channels that were used to irrigate the farms, too. The spirit here is different. This is shitamachi, a word meaning “low town” but evoking nostalgia for bygone days when Tokyo was Edo — more rural, and dirtier. Shitamachi is all about patina, and the houses here and people, too, wear it well. On a walk through the narrow roads of Kyojima — so close sometimes you can reach out and touch the houses on either side, and so close that you are forced to say hello to passersby — you’ll notice a different set of materials than the other residential areas of Tokyo. Here houses are made of old wooden frames covered in decades of colored corrugated tin, and structural deficiencies are patched up with DIY solutions. It can feel like a shantytown. All streets seem to lead to the heart of Kyojima, Shitamachi Ninjo Kirakira Tachibana, a shopping street (shōtengai in Japanese) casually known as Kirakira (sparkle). The shopping street is lined with only a few shuttered spaces, and the remaining stores will get you almost everything you might need: tofu, warm oden (stewed vegetables and fish cakes), coffee, fresh fruit and vegetables, bread and flowers ? even a shop that sells dried insects. At the end of the street is the Mukojima Denka House, an electronics shop (that also sells vinyl records, all “50 percent off”) in a 100-year-old wooden house. 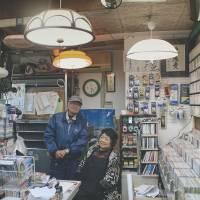 It’s run by Yasuharu Oki, 78, and his wife, Sachiko, 76, who have lived in Kyojima their entire lives. 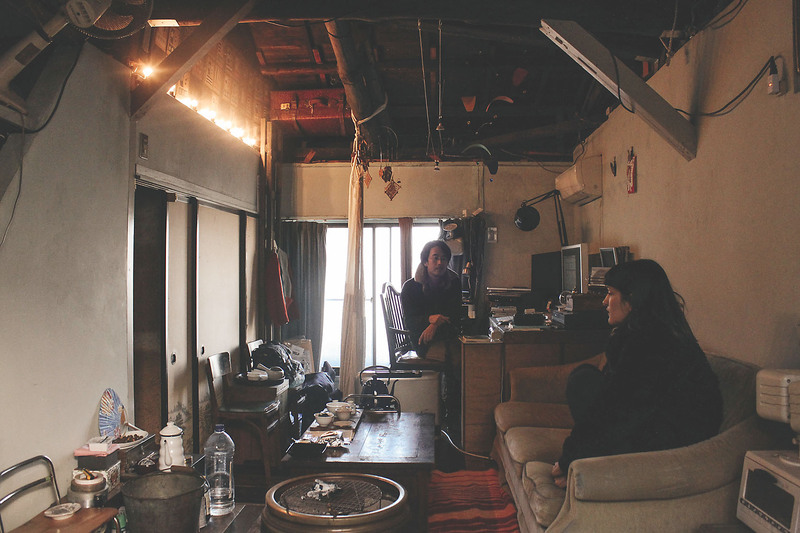 Sachiko points to the roof, where the second story has fallen partially into the first floor of the shop due to earthquakes. 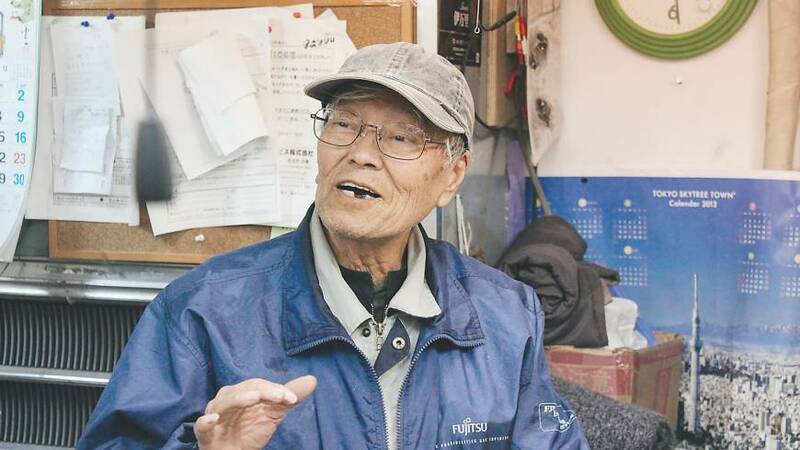 Worried about the safety of their shop, they retrofitted the wooden house with the help of the metropolitan government, which covered 30 percent of the costs. 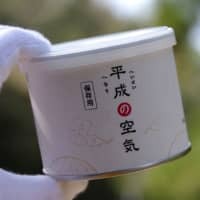 Will it survive a direct hit from the kind of earthquake the metropolitan government has predicted? “Well, if it comes to that, what will we do anyway? Start another life somewhere else?” Sachiko asks rhetorically. The Okis are exactly the type of people the government is concerned about: old, short of options and living in a rundown wooden home. Since the 1960s, the Tokyo government has been concerned about Kyojima’s densely packed wooden houses, seeing them as a disaster waiting to happen, and in 1971 it suggested the older wooden homes in the area be replaced by new apartment blocks. Stung by strong local resistance, the government changed tack in the 1980s and began working with the community toward “incremental” change rather than scrap-and-build. 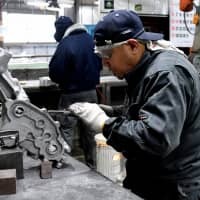 But effecting even gradual change has proved to be a huge challenge, says Iwamoto, because of the age of many of Kyojima’s residents, who are often suffering from financial as well as health problems. But that’s not the whole picture. While researching this story, it soon became obvious that it is about more than government planning versus the local needs of the poor, elderly and infirm. While the government is trying to get old people out, young people are unexpectedly moving in. Even some of the local residents themselves don’t seem to be really aware of this phenomenon: Asked what he thought of younger people moving into the area, Yasuharu Oki was adamant that “there are no new people coming in.” But 100 meters up the Kirakira shōtengai, on the left, is Bunkan, Reptile Branch, a shared space and cafe operated by a group of younger people who moved to Kyojima and have adopted it as home. The back of the space even has a shared bath system, where the newer, younger residents of Kyojima ? who are often living in cheap wooden houses without baths ? can keep themselves clean. 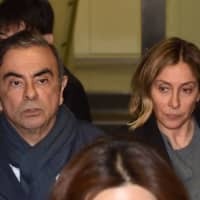 Only two people were inside Bunkan on a recent Saturday afternoon: Yusuke Mizumoto, 29, a sake distributor originally from Ehime Prefecture, and Natsuki Terakado, 36, the manager of Bunkan, from Matsudo, Chiba. Both live in wooden properties around Kyojima, and Bunkan itself is a wooden house. “I’ve lived here for five years and I’m optimistic,” Mizumoto says of the prospect of a natural disaster. “If it happens it happens, and if it does, I die,” he laughs. Neither is very interested in talking about natural catastrophes; there are much more pressing issues. 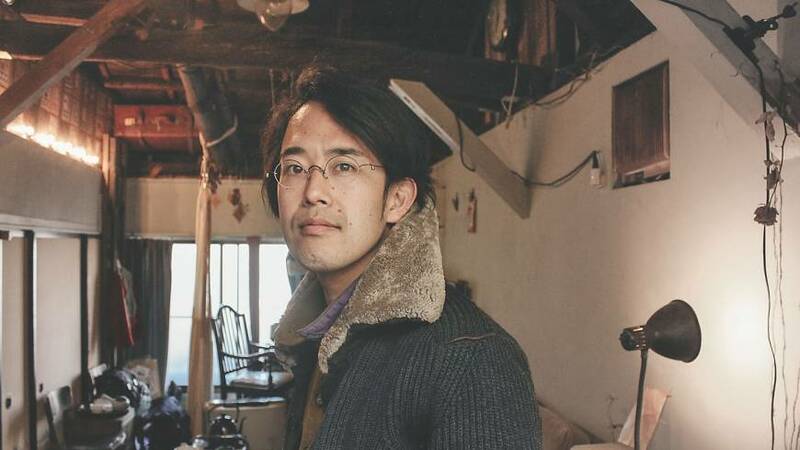 “There is a lot of stuff to worry about in Japan: the yellow sand from China, the radiation, the government, and now they’re changing the laws so Japan can have a regular army,” says Terakado. He came to Kyojima after moving first to Shibuya (“It’s not a place to live,” he says), then the countryside in Kamogawa, Chiba, then Berlin. 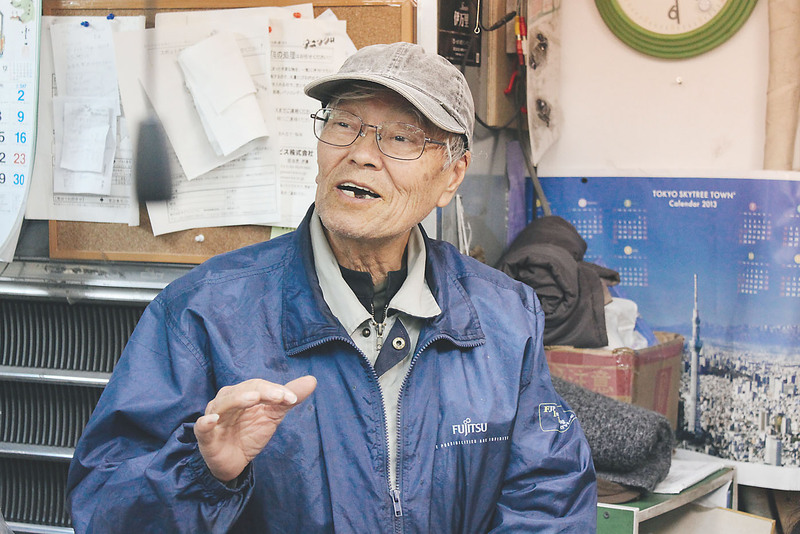 Kyojima is where he has lived the longest. It seems like there are two Kyojimas: the one the government believes in, and a younger Kyojima hiding among the old wooden homes, the poor and elderly. Like many young newcomers, Terakado is here because the rent is cheap and you can do what you want to the old houses, but mostly, they seem to be here because of the existence of these two Kyojimas — that alongside the older, already established community, there is a second, younger, nascent community they can be a part of. Also, many of them are here because of Daiki Goto, the unofficial “wooden house coordinator” of Kyojima. 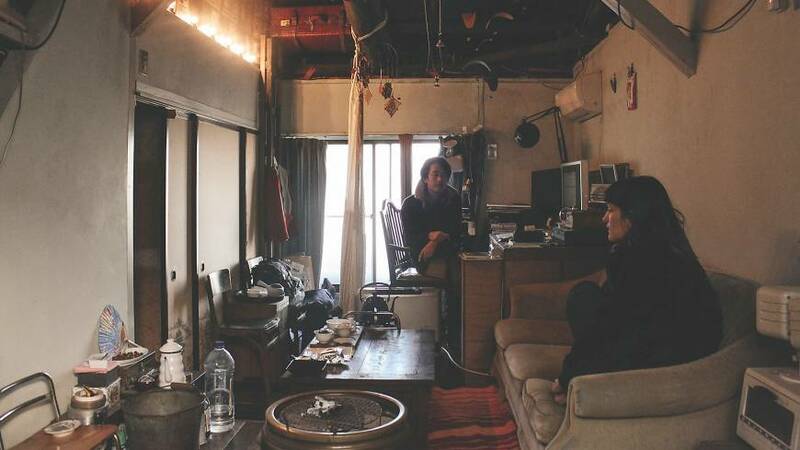 Goto, now 34, moved to Kyojima when he was 26 with a group of young artists and outsiders. 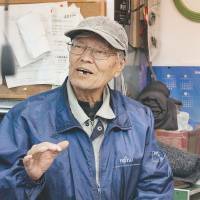 They were the “second generation” to move east, the first having been about 10 years ago, led by a German artist named Titus Spree, who now lives in Okinawa. 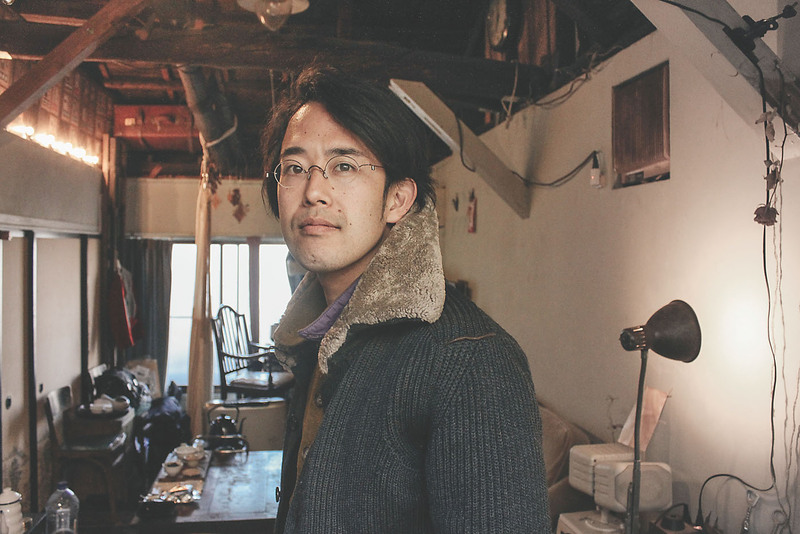 “I like old houses and I share them with friends,” says Goto, leading the way inside his 80-year-old house. 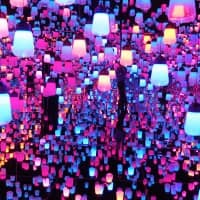 It’s dark and comfortable, his tatami mats on the first floor stacked with vintage ephemera from an old wooden house that was torn down nearby. “Would you like a kettle?” he asks, holding up a dusty box. Sunlight streams into his second floor, falls on his computer (he is a filmmaker), over his tea-making paraphernalia and onto his hammock, where he sleeps during the summer. I’m here to talk with him about his house potentially falling down, and it’s hard to look at the exposed wooden beams of the roof and not imagine an imminent threat. 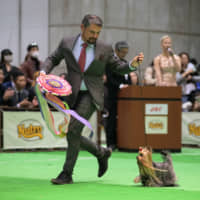 Goto also looks out for No. 1, and has retrofitted his house for earthquakes himself with braces and steel beams. To paraphrase architect Arata Isozaki, Tokyo is a city that has never had a plan, never had a center and has never had any visible order. Kyojima epitomizes this view of the city. 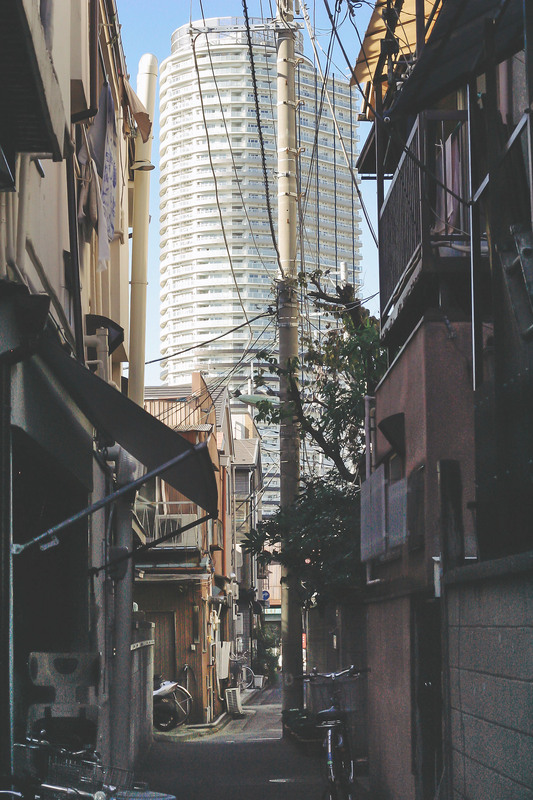 It is a district that proclaims the social values of inventiveness, density and proximity, values that modern housing in Japan — often built and designed by large construction companies — have failed to hold on to. 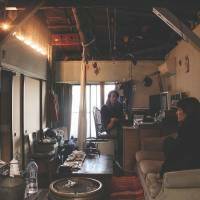 Kyojima is not exactly the last holdout against modernization, nor does it comfortably fit the mold of an idyllic rural community, but it does say something about space becoming personal and intimate. Unexpectedly, it’s the physical layout of Kyojima — a legacy of its unplanned beginnings as farmland turned informal residential zone — that makes it so prone to disaster on one hand and such a lively community on the other. Kyojima is a complex anachronism. A 2004 study in the Journal of Asian Architecture and Building Engineering found that Kyojima is more livable and lively than the areas laid out on a grid because of its haphazard structure, full of winding lanes, densely packed wooden houses and irregular roads. It is the structure that has created the atmosphere of community and “draws livability to the area,” according to the article. In a way, Goto and his community are reclaiming Kyojima’s traditional informal spirit, the catalyst for the construction of houses around the paddy fields 100 years ago and the building of temporary wooden structures here for the homeless after the 1923 Kanto quake. It also evokes the same spirit that brought new residents here after the Allied air raids of World War II devastated surrounding areas. 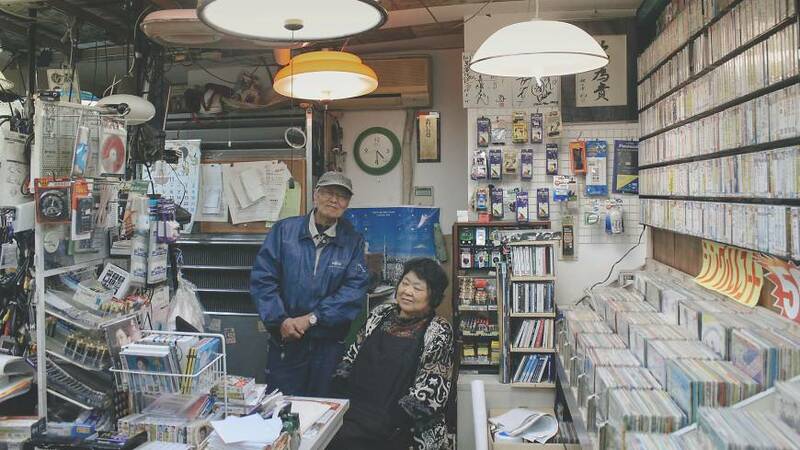 Kyojima continues to survive as a kind of haphazard zone offering people a chance at a new start and a new sense of community. But how long can this anachronism last? If Tokyo does fulfill its disastrous destiny and the slate is wiped clean, what comes next?